Provide comfort for the family of Louise Baker with a meaningful gesture of sympathy. Viewing will be 4-8 PM Mon & Tues.
Services will be 1PM Wed, Jan 23, 2019 at the South Colonial Chapel, 6934 S. Western Ave, OKC. Louise,77, went to be with the Lord on Jan.17, 2019. She was born on July 22, 1941 in OKC to her parents, Lola (Boyd) & Tyson Siler. She married her sweetheart, Lewis Baker & together shared more than 56 years of marriage. They raised their sons, Richard & Dennis. Louise served as a Cub Scout Den mother, enjoyed collecting dolls, loved her pugs, visiting Las Vegas, Elvis Presley & his music. Louise was preceded in death by her parents & husband. She leaves behind her loving family, sons, Richard Baker (Linda) & Dennis Baker (Vicki); granddaughters, Sara (Nathan), Syrina (Nathan) & Lyndsay; great grandchildren, Devin, Dannon, Gunner, Zane, Aubree, Jaycie, Bryce, Josiah, Asher, Paxton, Sophia, Lexi & Boston; brother, Bob (Linda) Siler. 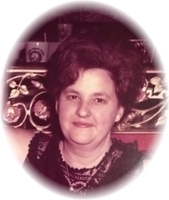 To send flowers in memory of Louise Faye Baker, please visit our Heartfelt Sympathies Store. Provide comfort for the family of Louise Faye Baker by sending flowers. I am so sorry for the family’s loss. Death is one of the hardest trials to cope with. May you find comfort from the future promise recorded in Revelation 21:4 which says “he [God] will wipe out every tear from their eyes and death will be no more. We have assurance from God’s word the Bible and we can be certain God will fulfill the words from his word.